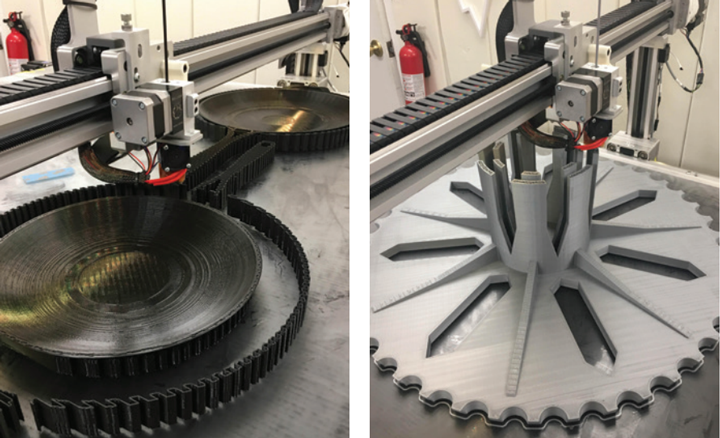 A leading Bay area 3D print service bureau utilizes a 3DP WorkSeries printer for large scale output that educates customers and results in dramatic business growth. A 3D printing service bureau specializing in bridge manufacturing and very large-scale printing. Located in the San Francisco Bay Area, they are a national company with a growing queue of customer work. 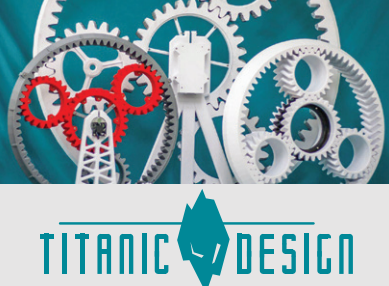 Tom Price, the owner of Titanic finds satisfaction in creating showpieces that teach about the finer points of a technology and demonstrate its unique capabilities. He is passionate about 3D printing technology and what it can do in the traditional engineering product development process. Having a large format 3DP WorkSeries printer puts a different tool in the toolbox. It has allowed Titanic Design to create full sized models for more clear education presentations, while at the same time creating new business opportunities. Tom’s experience managing an engineering team and hardware engineering laboratory for a hospital equipment has trained him to be looking for new, cost effective equipment and tools that could help in product development. This naturally led him to investigating 3D printing, but finding a way to implement it without breaking the bank was the challenge. It was this evaluation that led Tom to the conclusion that the open market 3D Platform WorkSeries printers were his best investment. At a cost 1/10th of the closed systems he had been investigating, the capital equipment needed to print big became affordable. And with material and operating cost up to 10x less than a closed system, large print output was now economical. Tom believes that when you can make strong rapid prototyped parts in quantity for as little as a fourth the cost of established processes, suddenly you make it worth bypassing the traditional first phase of soft tooling for some parts. You can avoid the risk associated, and have the ability to continue tweaking the design essentially for free while increasing speed to market and avoiding capital expenditures. 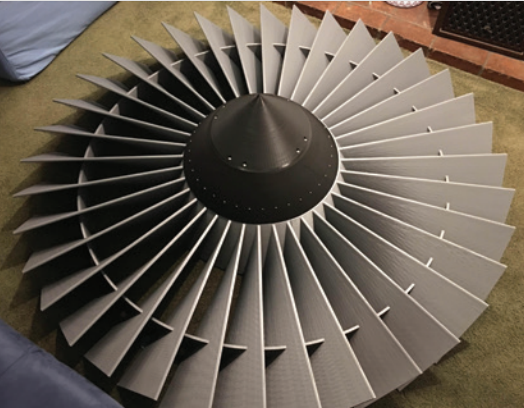 1:1 scale replica CFM56 turbofan main bypass fan which powers the Boeing 737 and almost a dozen other civilian passenger and military aircraft. Coming in at 1.55 meters in diameter this wall art is one piece that will actually make you stare and wonder when looking at the real size of something the world takes for granted. 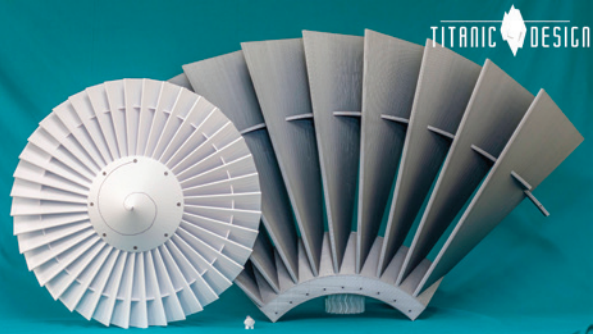 Smaller custom fans / larger Pratt & Whitney JT9D (Boeing 747) turbofan (2.3 meters in diameter!) under development. One of their biggest challenges at Titanic Design is educating customers and managing expectations on what is possible with the technology. Tom feels that when you have a grasp of understanding of what is possible with large prints, not only will you want to push the technology to create parts better and faster that simply can’t be made more economically any other way, you will also want to educate and pass that knowledge on and help others grow their capability.